The Ranting Chef does not get paid or receive any revenue from manufactures or retailers of products reviewed. I occasionally receive products that I am asked to use and see what I think. I take a look, try them out and tell you all about them. Recently, I was able to cover the 2014 International Home and Housewares show in Chicago as a media representative from the blogging community. While there I was able to spend some time at a number of booths and see some really interesting products. These products were being displayed at the show. 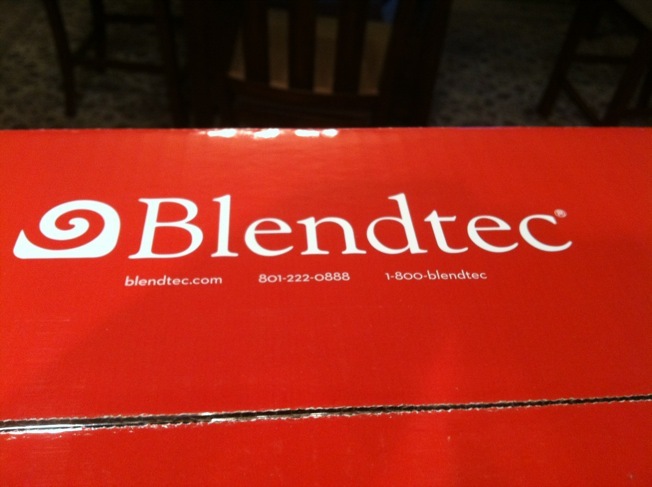 The other day I received a big box from Blendtec! 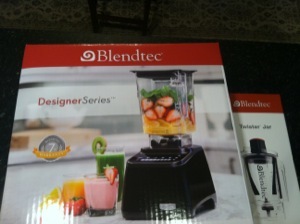 Inside was the Blendtec Designer Series blender. Also included was the smaller twister jar. 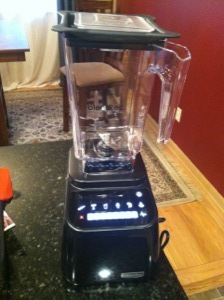 I was really excited to see the blender. 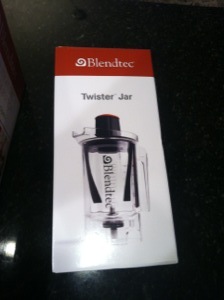 I had spent quite a bit of time at the Blendtec booth at the International Housewares Show. These high performing blenders have a lot to offer both in features and in performance. First some stats. 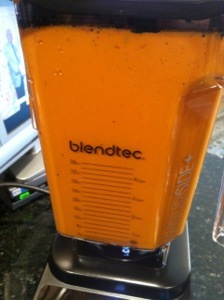 The Blendtec Designer Series blender is built to be a workhorse. Weighing in at 8 pounds it has a 13 amp, 1560 watt motor which is commercial grade in its power output. The total height (with jar) is 15″, so it fits under most kitchen cabinets (unlike a major competitor of theirs). The Wildside Jar holds 8+ cups (but you probably wouldn’t want to run it with more than 4 cups) and is light and easy to place on the blender base. The blender lid fits snugly and has a plastic top that easily removes if you need to add ingredients during the blending cycles. 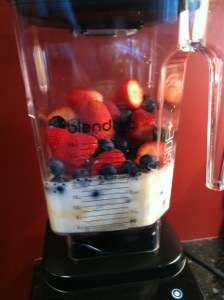 One of the coolest parts of the blender is the user interface. The touch screen interface is both easy to use and really easy to clean. 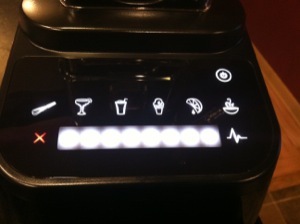 With the touch of a finger you can select one of six pre-set programs, or pulse the blender at one of 8 speeds. Without any dials or buttons for goup to get under, a simple wipe clean is easy. I put in the ingredients, chose the sauce setting and while the blender followed the program (switching between fast and slow speeds automatically), the contents turned a beautiful shade of orange. 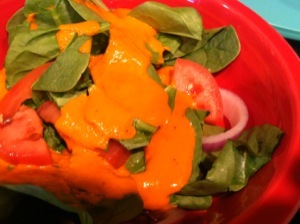 A dressing with a nice kick to it. 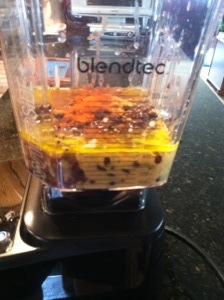 By design, the Blendtec Designer Series blender has a thicker, more sturdy blade that is not sharp. If you think about why that makes sense (versus a thin, sharp blade). Imagine you have a piece of red pepper on a cutting board. Now take your thin sharp knife and strike the pepper. What you have is a nice, clean cut. 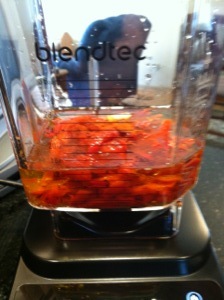 Great for dicing, but maybe not so much for blending. Now take the same pepper and strike it with a hammer. The pepper breaks apart with the smash. So instead of two pristine pieces, you now have the pepper breaking apart like you want when you blend. Here I decided to make some soup. The soup setting goes for a while and the friction of the movement is supposed to heat up the soup. I found it still needed some heating at the end. 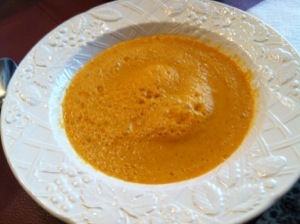 The soup was very smooth and even a both frothy (which would go away with a quick stir). I had a recipe that needed ginger juice. So after peeling quite a bit of ginger, I decided to blend it. 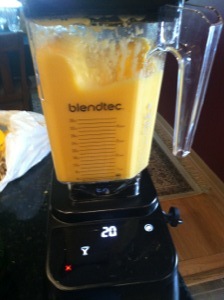 The Blendtec Designer Series blender made quick work of the ginger. 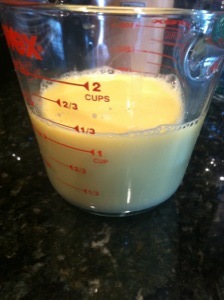 After squeezing the pulp through some cheesecloth, I ended up with quite a bit of juice. The dull blade moving at high-speed was able to more easily break down the fibrous nature of the ginger and release the juice. 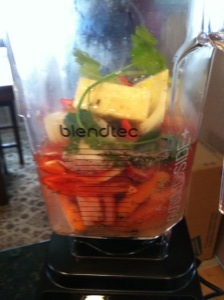 When it is party time, the Blendtec Designer Series blender is there for you too. A mango cocktail? No problem. In need of a quick appetizer? 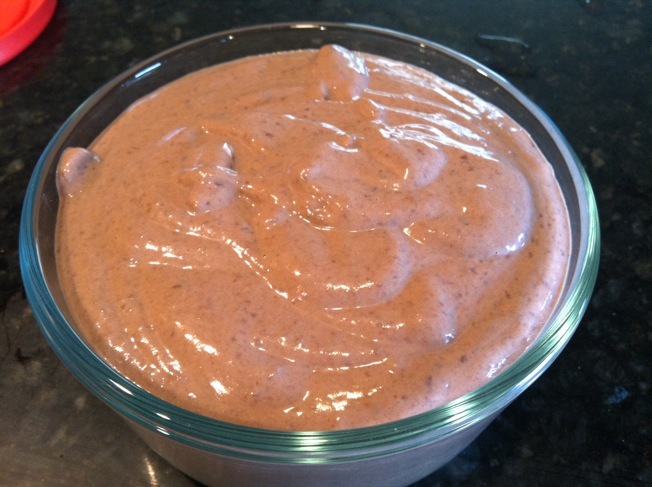 How about some black bean humus? 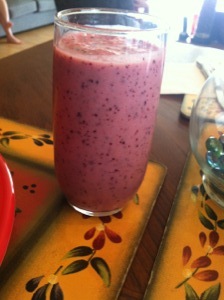 What about a fresh berry smoothie? An instant classic. I’ve also tried the berry sorbet and it is smooth and tasty. 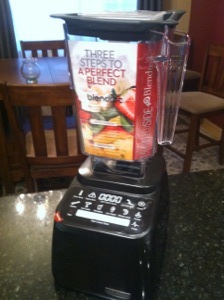 My take: The Blendtec Designer Series blender is a great product. It finds the right balance between workhorse and looking good, it is easy to clean and the user interface is one of the best I’ve used for any kitchen product. 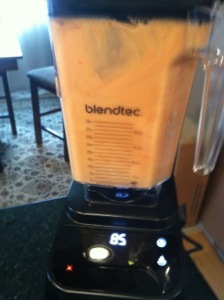 The included programs that you kick off with a single touch takes the work out of monitoring your blender and by varying speeds, it goes from chopping to blending to mixing all by itself. 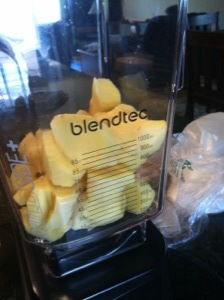 The Blendtec Designer Series blender is a very welcome product in my home and it should be in yours too. You can purchase it at a variety of stores or online here.